Douglas Rudnick came to the real estate world from the hospitality industry. After 19 years as a successful restaurant manager for multiple corporations, he transitioned into the real estate industry to pursue his longtime passion for real estate. 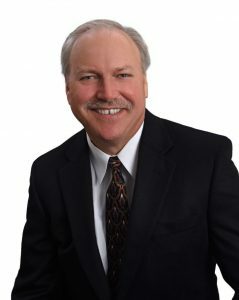 Doug’s experience and skill set are uniquely suited for the real estate field. As a restaurant manager, he was a veteran at managing complex logistics and details. His expertise at customer service made him one of the most well-liked individuals to customers and colleagues alike. Since then, during the more than 15 years in the real estate industry, Doug has helped hundreds of families buy or sell a home in Orlando. He is known and admired for his honesty, integrity, easy affability, calm demeanor under pressure, and the ability to evaluate challenging situations and find the best solutions. Doug and Yien have respected each other as esteemed colleagues through all these years. In 2018, Doug agreed to join The Yao Team as the Lead Listing Agent in order to focus on his trade-craft as a specialist. Both veterans in the tumultuous Orlando real estate market, they combined their considerable experience and reputation with the sole purpose of better serving their customers.